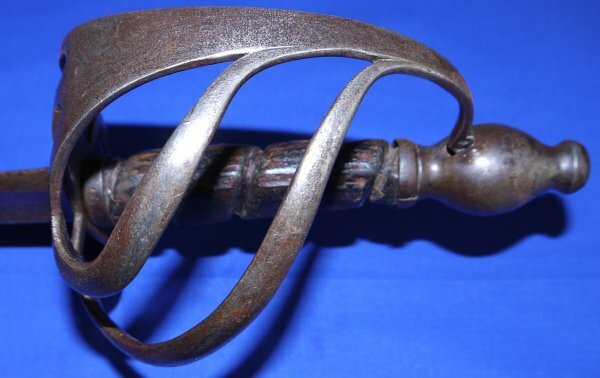 In sound condition, a scarce 1788 Pattern British Cavalry Trooper's Sword. 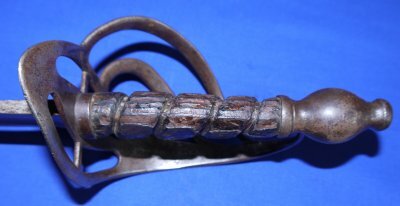 British cavalry sword pattern used during the War of the 1st Coalition (e.g. 1793 Siege of Valenciennes, 1793 Battle of Hondschoote, 1794 Battle of Tourcoing). 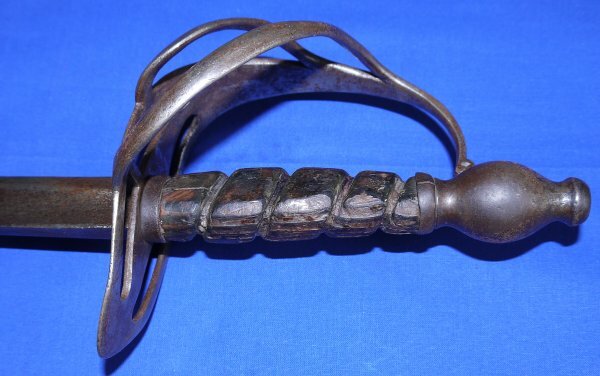 The 32 inch blade has light rust pitting throughout, firm in hilt. 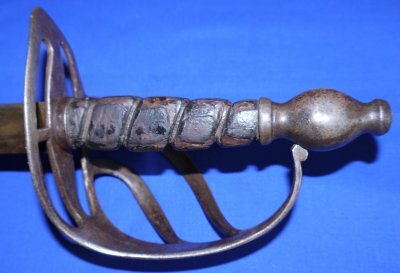 The hilt in good order. The grip down to its hardwood base. 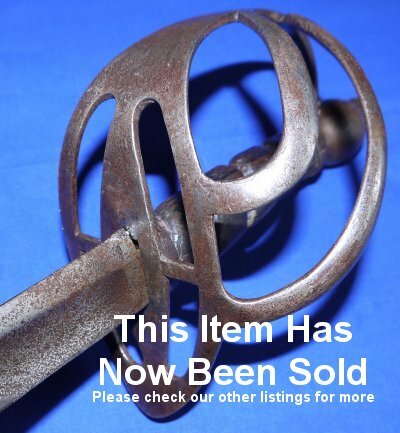 A rare sword which is priced to sell at only £700. Please quote item reference AC68. Further / full sized images available upon request. Box 0336-1m (1.316).